Air University Associate to Baccalaureate Cooperative NLU Partnership Program (AU-ABC) The Air University Program is a partnership between the Air Force and civilian higher education institutions to offer Community College of the Air Force (CCAF) graduates with opportunities to earn their bachelor's degrees. 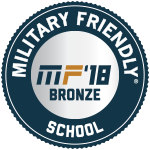 Our program utilizes the holistic approach to serving veterans and military-connected students. Our ‘wrap-around’ services help students find resources and support from NLU and external partner organizations. Click on a circle below to learn more.